Over the past few decades, rapid industrialization, fast urban encroachment, and improved agricultural operations have introduced substantial amounts of potentially toxic organic substances into the atmosphere and into the aquatic and terrestrial environments. 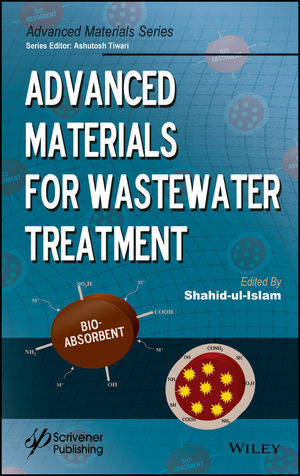 Advanced Materials for Wastewater Treatment brings together innovative methodologies and research strategies to remove toxic effluents from wastewaters.With contributions from leading scientists from all around the world, the book provides a comprehensive coverage of the current literature, up-to-date overviews of all aspects of toxic chemical remediation including the role of nanomaterials. Shahid-ul-Islam is a researcher at the Indian Institute of Technology, New Delhi. His current research interests include green chemistry, dyes & pigments, thermodynamics and kinetics of colorants, and polymeric nanocomposites. He has numerous academic publications in international journals of high repute to his credit.